Lackawack Lumber is felling Hemlock trees to make room for replanting of hardwoods. 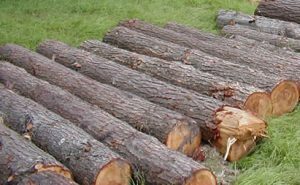 We offer hemlock logs of under 14 foot lengths for pick-up at our location near Napanoch, Ellenville, and Grahamsville, NY. You will need equipment to load them to your truck/trailer. Please contact us to discuss pricing and your requirements. We manage our woodlot using environmentally friendly timber management techniques. If you prefer, we can mill the logs to your specifications, up to 14″ x 14″ beams.